TAMPA, Fla. — Newly unveiled plans show what will be taking the place of the former Channelside Bay Plaza, and it includes outdoor dining, a waterfront lawn, and a beer garden. 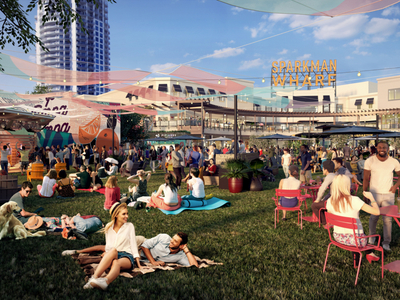 Plans unveiled Thursday show what will be Sparkman Wharf, a creative mixed-use redevelopment. It's named for U.S. Rep. Stephen Sparkman who brought innovation to Tampa. He secured federal funding in 1905 to dig the deep-water channels to downtown, creating Port Tampa Bay. When finished, Sparkman Wharf will combine 180,000 square feet of loft-style offices and 65,000 square feet of ground-level retail. On the ground level, you'll find a park-like environment with outdoor dining, a waterfront lawn, and a beer garden. These features are set to open first, in October. The lawn will have a stage to feature local performers, with the programming done by Gasparilla Music Festival. It will also have a large 9.5 foot by 17 foot LED screen to showcase things like Tampa Bay Lightning Games and movies. The outdoor dining area will feature 10 well-known area chefs, who will be experimenting with new street-food concepts — so the menus will be one-of-a-kind. They've announced two of the ten culinary concepts, the first being Foundation Coffee. "It’s refreshing and inspiring to work alongside great minds with confidence that the goal is to not only support local businesses but to also connect the entire Tampa community in a one-of-a-kind atmosphere," the owner of Foundation Coffee, Jason Smith said. Whatever Pops is the other culinary concept that's been announced. 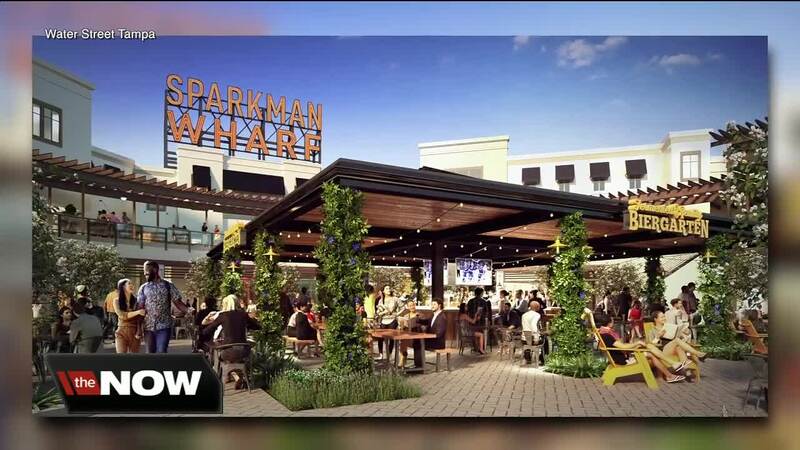 "We are beyond excited to be part of Sparkman Wharf. Truly, we are happy-dancing in our kitchen! Whatever Pops is all about cheerful foods that are thoughtfully prepared, and celebrating our home, the city of Tampa," said Steve McGlocklin, the owner of Whatever Pops. The open-air Fermented Reality biergarten will be a 3,000 square foot covered bar, with televisions and a cooling mister system. It will emphasize Florida craft beer with over 30 taps — wine, iced tea, and natural sodas will also available. The loft-style office space will overlook the water and feature private outdoor terraces. It will be targeted toward creative and innovation-oriented tenants seeking a unique space. Construction on the office space has already begun and will continue into 2019. The plans were unveiled by Tampa-based real estate development company Strategic Property Partners. The area is currently under construction by Tampa-based contractor EWI. 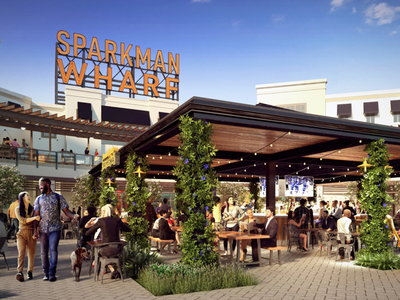 If you want more information about Sparkman Wharf, visit their website here .